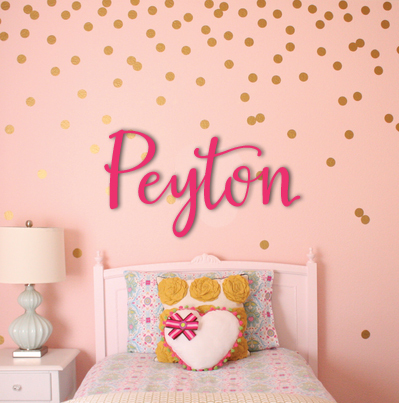 These trendy modern script painted connected wall letters are the perfect addition to any room, or party you want to add an extra touch of style too. Have your letters painted a custom color from any of these brands: Behr, Sherwin Williams, Valspar, Glidden, Benjamin Moore. List color name, brand and any ID# necessary for me to find the correct color. This service is $5 more.